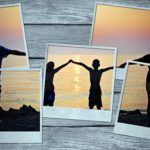 If you want to emphasize focal points in your scrapbooking, then matting your photo in a way that your focal points are highlighted is the way to go. 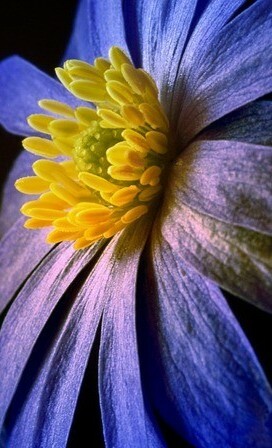 Focal point matting is used if you have a particular area of a photograph that you wish to emphasize. This is a great scrapbooking technique if you don’t want someone or something to be lost inside of a busy photograph. Here are two ways to emphasize those focal points. First, take your chosen photograph and copy and crop it as necessary. Lay your photo onto a cutting mat squaring it up onto the grid lines. Using L-Crops, choose the focal point on the photograph that needs to stand out. Use the grid on the cutting mat to make sure that the edges are parallel to the adjacent edges of the photograph. Use a pin and pierce a tiny hole at each corner of the focal point. Turn the photograph upside down onto the cutting mat and use your craft knife and a steel ruler to cut out your focal point between the pin holes. Take care not to damage the rest of the photograph. Next cut a mat of colored paper with a 2mm border around the focal point and center your focal point onto the mat. Stick down with double-sided tape. Take the surrounding section of the photograph and place it face down onto your mat and stick a piece of masking tape over the hole. Turn the photograph face up and stick the back of the matted focal point to the masking tape so that the colored mat overlaps the edges of the hole. Now it looks like your focal point has been framed within the photograph. Another great scrapbooking idea for focal point matting is to highlight a detail in a photograph and take the emphasis off the rest of the background. Vellum paper can be used to draw attention to the key feature or focal point of a picture, while the background is softened but remains visible. 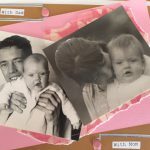 This scrapbooking technique works well with photographs that have an easy to cut shape as your focal point, just like the photo on the right. Once you have selected your photograph and cropped it as necessary, stick it onto the background. Cut a piece of vellum that is larger than the photograph and lay it over the photograph. Use a pencil to trace around the focal point. Place the vellum on a cutting mat and carefully cut out the drawn shape with a craft knife. Try not to cut into the surrounding vellum. Lay the piece of vellum over the photograph and align the cutout hole with the focal point. Stick the corners of the vellum onto the background with tiny scraps of tape or glue dots. You can purchase the pack of vellum below which includes 100 sheets of translucent vellum paper for arts and crafts simply by clicking on the picture. Use a piece of acid-free cardstock to cut out a window to frame your photograph as you would a painting, and in this way, you can conceal the edges of the vellum. You will now have your focal point showing through the cut out in the vellum, and the rest of the photograph will be more subtle as it is showing up through the vellum. To find out more about how you can get into scrapbooking, click here. Scrapbooking is an art that I love so much in basic school, but I lost passion for it when I switched to science in high school. It is a nice way to arrange family memorabilia. Let me see if I can check out a few packs of vellum paper, it could reignite my passion. Thanks for the tutorial! It’s always great to get back to something you love. All the best. Thanks for this article! My wife and I have been trying to put together a scrapbook of our honeymoon and various trips for years! The tips that you give are super helpful as there are definitely photos with focal points that could use some emphasis. I love your ideas and would greatly benefit from checking back here when it comes time to put our scrapbooks together! Thanks again! Thanks, Steve and good luck scrapbooking those memories. I am sure you and your wife will have fun doing it together. First and foremost, i must commend the beauty of the interface of your website and the unique thread design. Scrapbooking, as you have stated to be, is to highlight detail in a photograph and take the emphasis off the rest of the background. Your website is a perfect example of such. 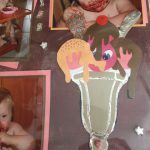 I would love if you can post more details on scrapbooking for people like me that are very much interested in learning and mastering it. There is a wealth of scrapbooking articles on this website already under categories and scrapbooking. I hope it all helps you get started. Thanks this review on emphasizing the focal point on scrapbooking, This is the most common and effective way of establishing a focal point, the use of cardstock, pattern papers and fancy papers for mats, memorable collectable photos can also serve as a focal point. Scrapbooking is a fun and creative you can’t go wrong trying it. I have just finished reading your article and understood that this is excellent guideline to emphasize focal points in scrap booking. One of my best friends is studying design and not finding the easy way of mating with a different object. I am sure he will be happy after reading your article and I am going to share it with him. Thanks for writhing this helpful tips. Thanks for stopping by. I hope this post helps in other art forms besides scrapbooking. The more ideas we can get the better.